Many Christians, at some level, fear they’re unworthy and damaged goods. 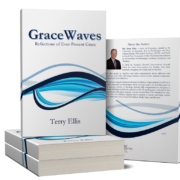 They accept with the top of their heads the truth of God’s grace, but the idea has never quite worked its way down to their core. They suspect God could better spend his time on people with a stronger faith. They feel they have been disqualified by some brokenness in their lives. Well, in case you haven’t noticed, every single one of the great characters you read about in the Bible had some kind of great challenge to overcome, some great character flaw. From a human perspective they would be unworthy, possessed of disabling inadequacy. It’s truly astounding to read the Bible this way. We find David the murderous adulterer. Paul the persecutor of the church. Peter the denier. Thomas the doubter. Just about anyone in the Bible we know anything about in depth is deeply flawed. And frankly, most of them went through a time when they feared their damage disqualified them from God’s favor. Only when they accepted their brokenness and combined it with God’s grace did they became a man after God’s own heart, the apostle to the Gentiles, the first Pope, or the missionary to India. So accepting personal brokenness is certainly the first step in recovering any sense of self-worth, and on the heels of that confession needs to come the recognition that you're not alone. Again, the Bible is unsparingly clear about the clay feet of its most notable characters. If you're broken, welcome to the human race. But ultimately we are not the key to our own recovery. God is. And realizing how God feels about you is critically important. It is here that the idea of the “image of God” is especially helpful. Every human being carries within him or her the image of God. It is the part of us that is most divine. We can cover it up, ignore it, run from it into a foreign country, but nowhere in the Bible do we ever find that we can lose the image. Whenever, in our brokenness, we have a sense of longing for God, it is that image that draws us back to Him. God appeals to that image, restores it to prominence, and enables us to move forward. Think of God's image as His vision for you. The image is what God made you to be. The image is what God restores through grace. Remembering the image is a key to joyful living. As funny as the premise is, the real story is not about an old man rattling about in a suit of armor with an old horse and a servant. The real story is about the transforming effect this man’s holy madness had on the people around him. Later in the story when Quixote was very sick and losing his “vision,” Aldonza came to his bedside to plead that he somehow recover the vision that transformed her. She needed his belief in her and came to rely on it. God has a holy madness in which He loves us in spite of our worst and would even die to restore us to our best. He longs to make the image rise up from the ashes of a burned-out and burned-up life. He can do this. And we need His belief in us and must rely on it. Original sin is a reality. It scars us all and eventually leaves all of our cultures in ashes. But the original image endures too, and is far more important. We struggle too long and too much with sins that have been forgiven. Guilt, shame, fear, and doubt cloud our days, and it’s so unnecessary because the image endures. God’s vision of you, His holy madness, can transform you and make you hope again. He loves you and is proud of the image He created in you. That’s what He sees when He regards you. By His grace He can mend every flaw and give you a glimpse of the glory of that image. That holy, unimaginable, even scandalous madness is God's vision of who you really are. I think our common, fundamental, theological pursuit is striving to agree with God. Completely accepting the fact that we are radically accepted by God is transforming. It creates relief, joy, and even transforms the way we look at other people who bear the image. So agree with God this week. He has a vision of who you are and is committed to bringing out that image purely and finally. This entry was posted in GraceWaves Articles. Bookmark the permalink.